Hello! I’ve fallen for this trend, and I’m on the hunt to buy a bar cart for my home. Would you help me pick one? For you guys that have been following kraft&mint, I’ve been slowly updating the decor of my home. I did nothing for the last ten years! And why? You might ask. I’m out of the toddler age and transitioning into older kiddos. When you are a mom of a toddler, you can’t wait for your child to be a bit older, potty trained and not in constant danger of running into a sharp corner, falling on his head, getting a hold of something you love, etc. What you do, is “child proof” your home and slowly introduce items the older he gets, so the child learns to respect his/her home, furniture, decor, etc. So back to the bar cart, I’m all over the place deciding which one to commit to and stay within my budget ;) Down below I’ve put together a few bar carts that I pinned, and from $90 to $400 dollars range. 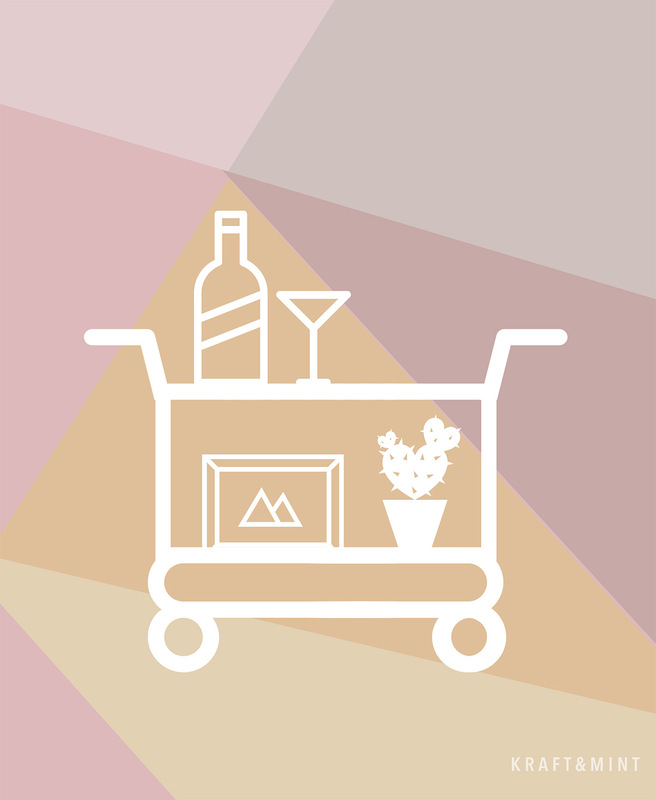 So which bar cart catches your eye? P.S: Friendly reminder that this post contains affiliate links. Check out my affiliate links policy here. If you are too lazy to go read what an affiliate link is, well, basically, is a link that if you click on it and then shop the product I recommended, I’ll get a small commision on the sale of the product. At NO extra cost to you. Yay.